STEM. We’ve all heard of it. Some of us are implementing it, while the other half of us have no idea what it means or what it is or how to even implement it… especially in a special needs classroom. And some of us still have absolutely no idea what STEM stands for… that was me about a month ago. Enter Brooke Brown. I met this amazing woman through TeachersPayTeachers and she forever changed my classroom and how I lesson plan for science… and math… and technology… and apparently I now teach engineering. Yes ya’ll, in a moderate to severe SPECIAL NEEDS CLASSROOM. I teach STEM. Wow, that was pretty amazing to say. I teach STEM. AHH! It’s so exciting! So what is STEM? Science, Technology, Engineering, Mathematics. But it’s so much more than just teaching those subjects and implementing them into our classrooms. 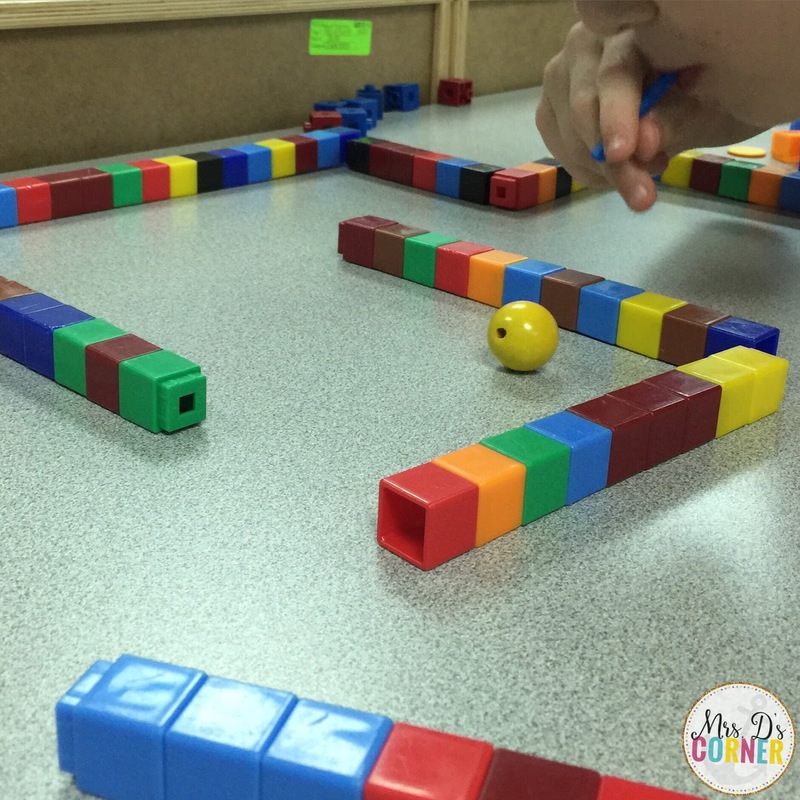 It’s about the thought process and the higher order thinking that goes in to solving problems. 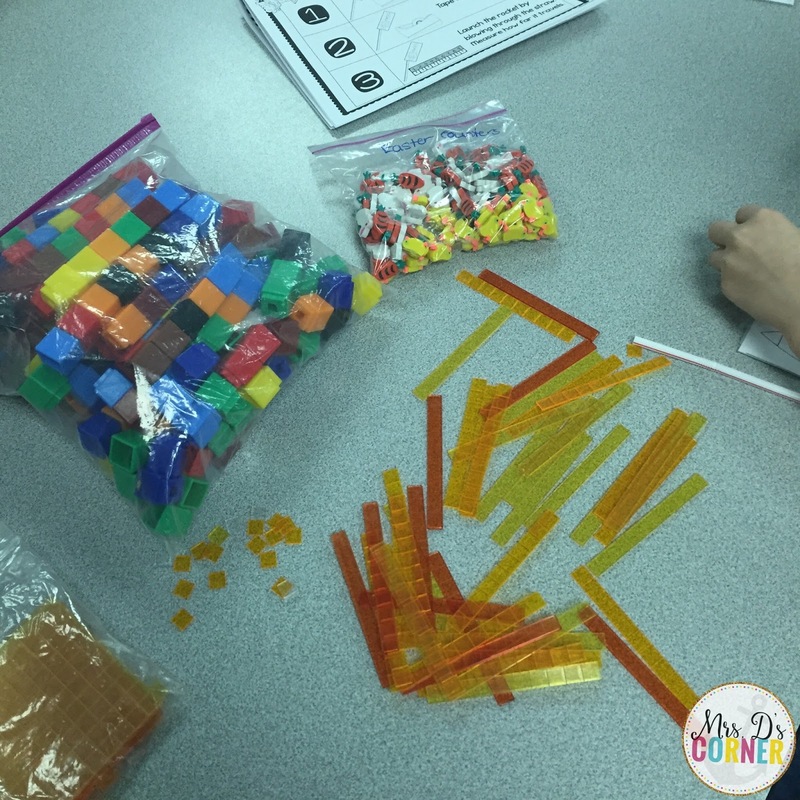 Why should we, special education teachers, teach STEM? Because not only are we knocking out pretty much all subject areas at once, but we are allowing our students to problem solve and think critically. STEM gets my students collaborating in a high engagement, hands-on activity, all while using their smarts to generalize and apply this knowledge into the real world. Plus, STEM touches on multiple learning styles and intelligences! It’s like walking into Target only to find out the Dollar Spot was just freshly stocked up. It’s like a gold mine! Let me just say that special education teachers are pros at modifying stuff… and accommodating stuff. Everything really. We are kind of like lesson planning superheroes when it comes to taking a set general ed curriculum on a 4th grade level and morphing it to fit the needs of a student on a kindergarten level… and another student on a first grade level… and four more students on a second grade level. I mean, we’ve got it covered. 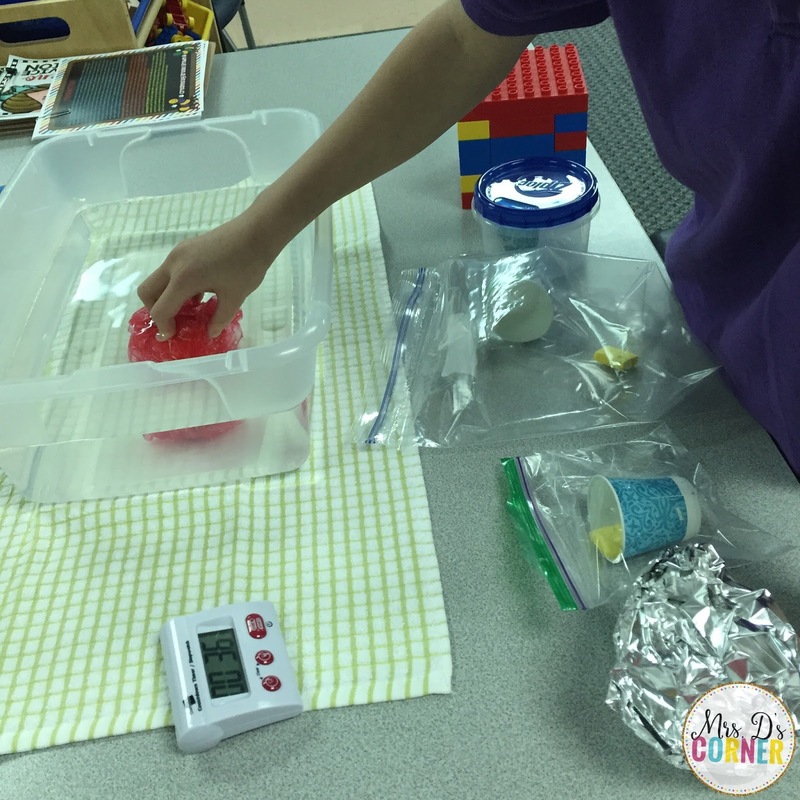 So what I’m going to do is show you two different STEM activities that we did this week. 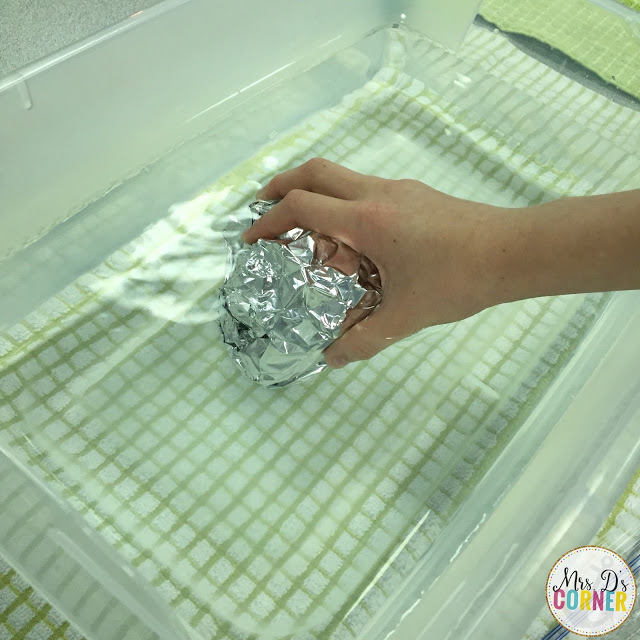 I’ll first show you the recommended way to try the activity, and then show you how I modified it to fit the needs of my students with special needs. 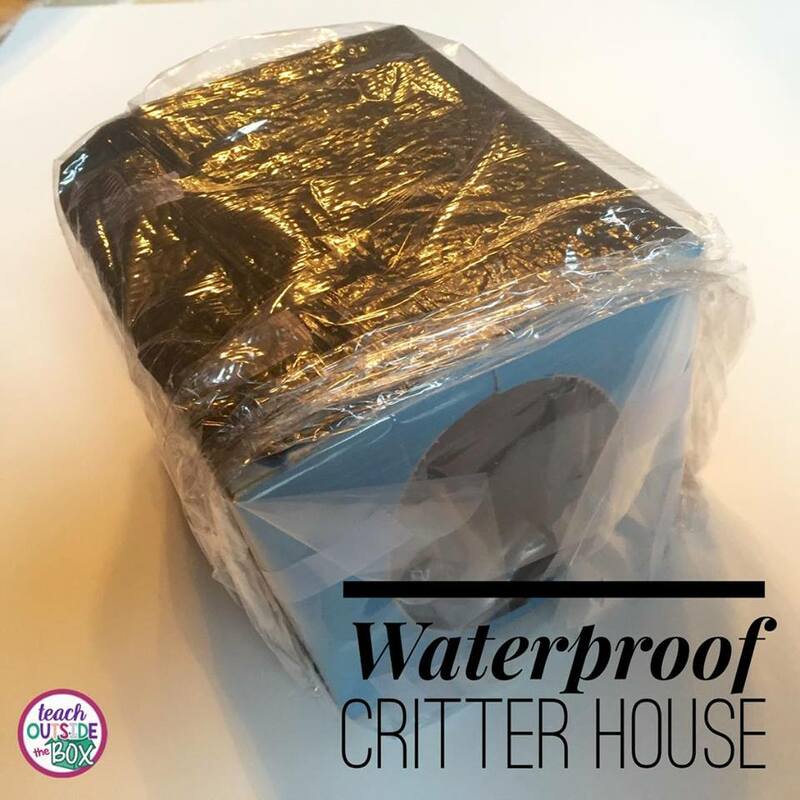 The first activity was building a waterproof house for a critter. I didn’t have an empty tissue box to use for this activity, so I modified it a lot based on the supplies I had in my classroom. To save time, I let my student choose clip art animals. He was so excited that I had dinosaur clip art too! 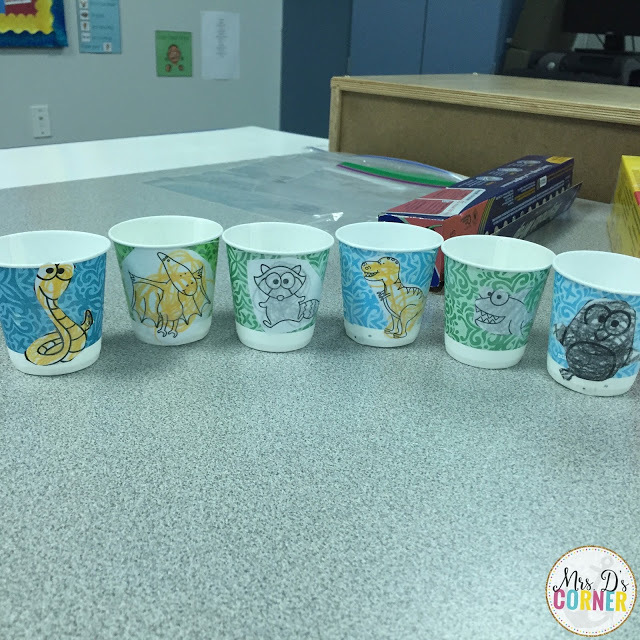 Then he had to cut out each animal and tape it on to a small dixie cup. Inside of each cup, we put a piece of sponge (I cut up a kitchen sponge I had left over from making glue sponges). 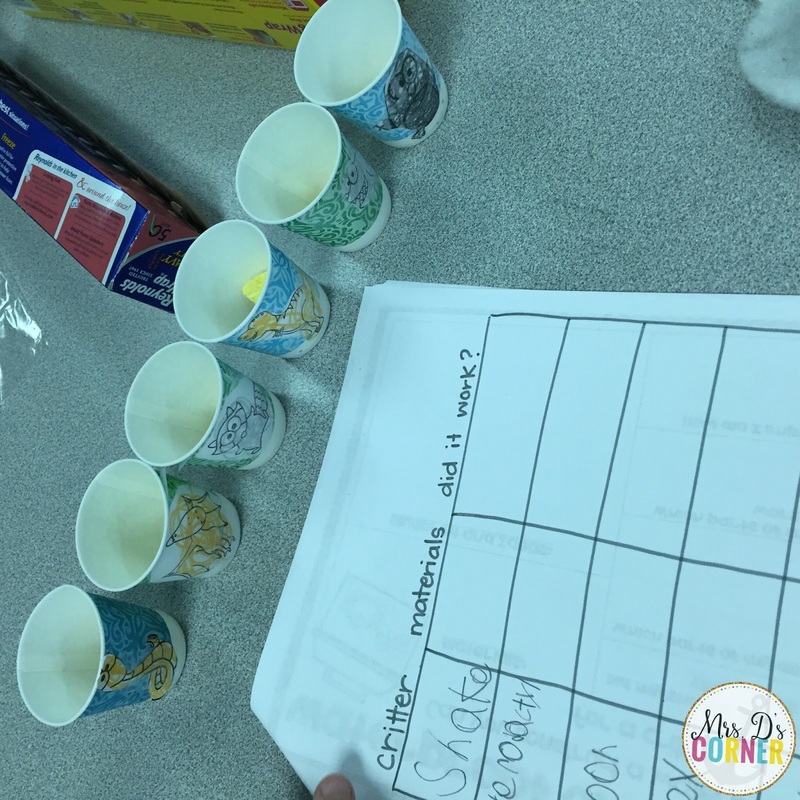 Since we tested 6 critter houses and not just one, I made him a super quick graphic organizer to keep track of his data on the back of the worksheet provided in the STEM packet. Since we had 6 different critters, he had to build 6 critter houses. He used foil, a small baggie, a large baggie, cling wrap, Legos, and a plastic container. We lined all of the critter houses up in front of our “pond.” I let him choose critter houses in any order he wanted. Then we set a timer for 1 minute and he had to hold the critter house under the water for 1 minute. …along with the Lego house… but I was wrong 🙂 LOL so it was a learning experience for me too! 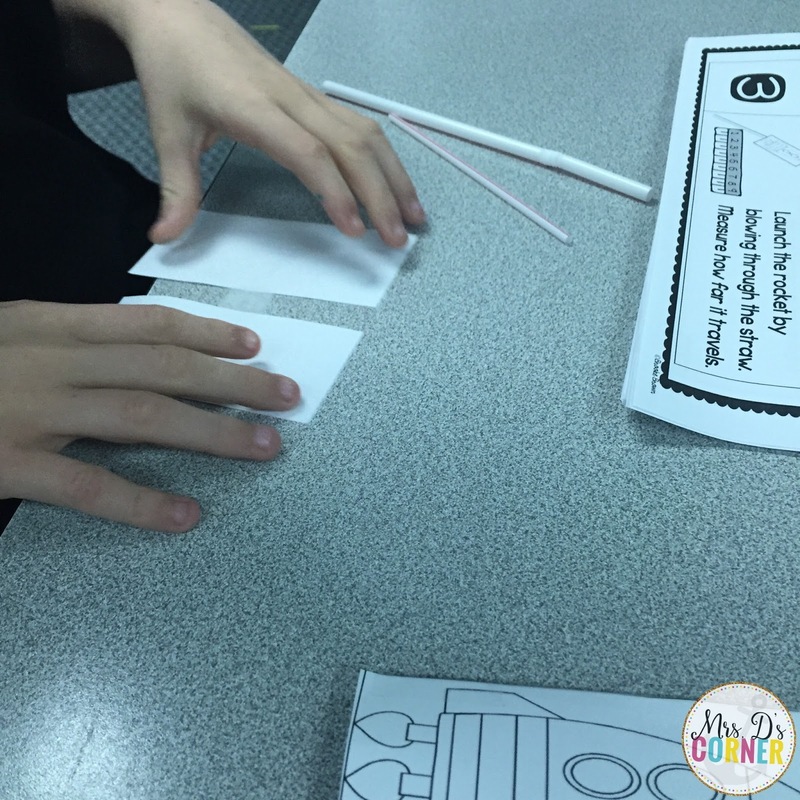 The second STEM activity we did this week was building straw rockets. …but he did struggle a little bit with figuring out how to construct his rocket. This made it a great real life problem solving activity for him. He used the rocket “pocket” that I constructed as a model after a few minutes. Then it was time to test out the rockets. He created 4 different rockets. We use two different straws: a small, thin straw and a longer, wider straw. So we trialed each straw twice. 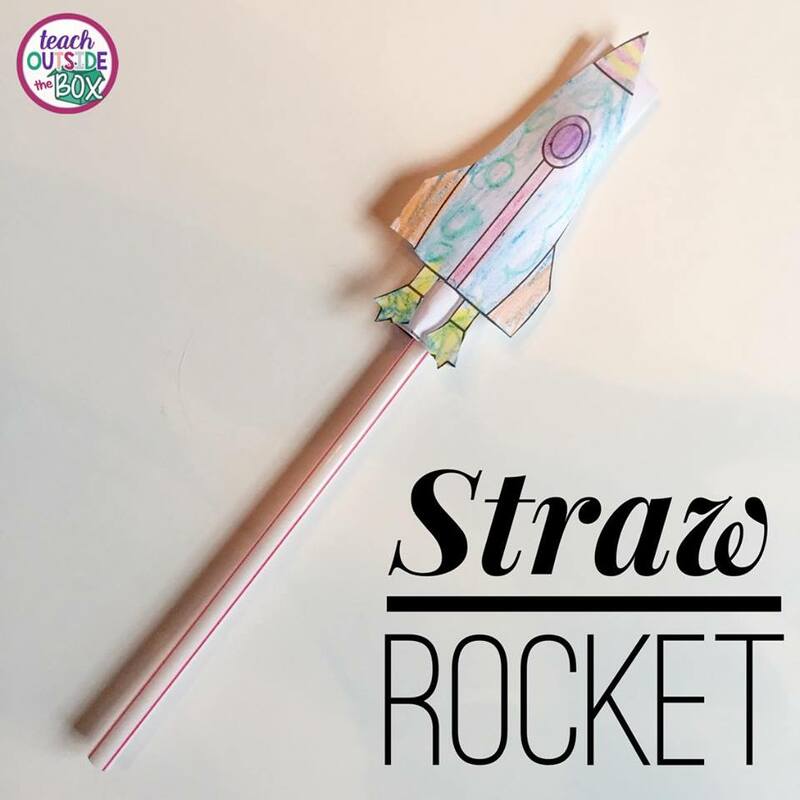 He quickly realized that the larger, wider straw worked better to launch his rockets. 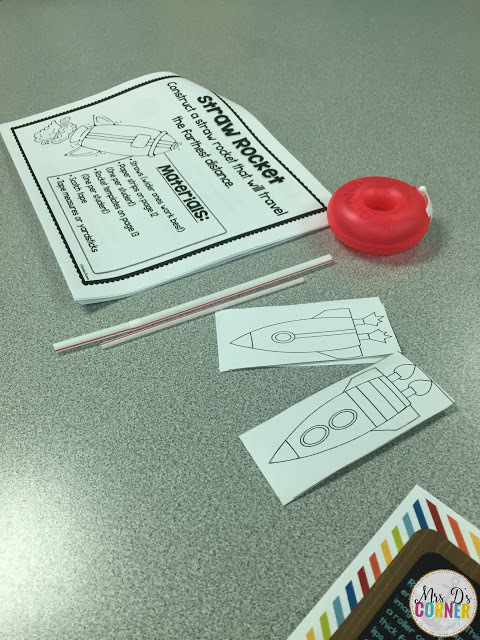 He also learned really quickly that he needed to leave space at the top of the rocket for his air to blast the rocket off of his straw. He’s so smart! 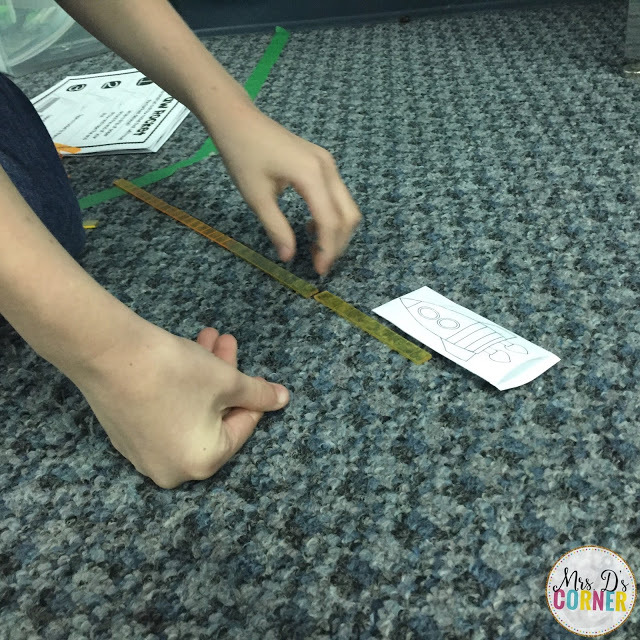 We used the green tape on the floor as a baseline for him to begin his measurement. We labeled each of his rockets and then measured them and recorded the data one by one. His first rocket blasted the shortest distance, while the third rocket went the farthest. After seeing how much fun we were having with straw rockets, the other students wanted to join in with us. So I made a fun game out of it. 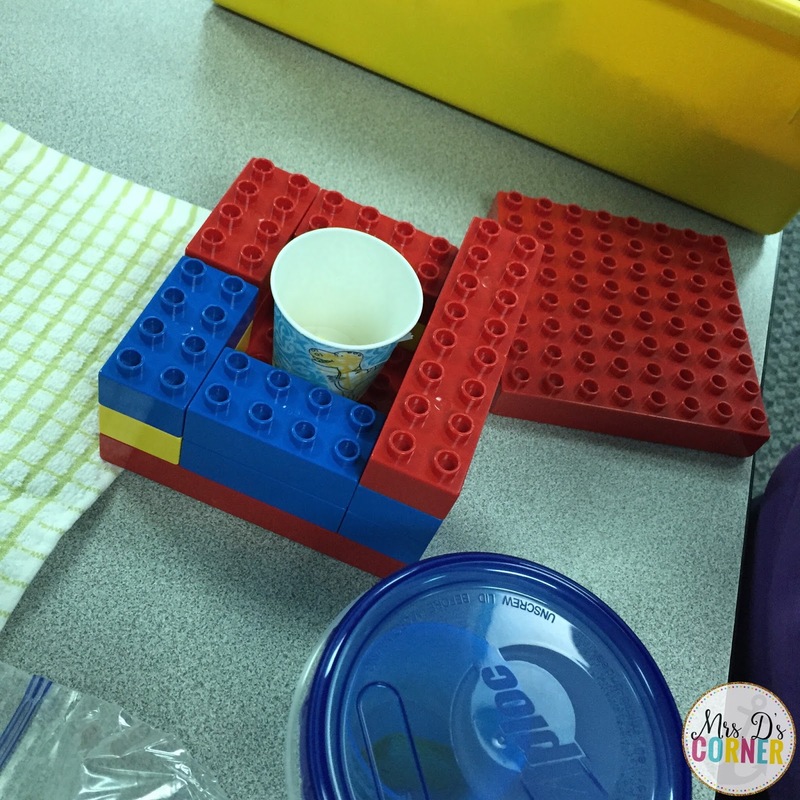 My friend also worked on this STEM activity with one of our paraprofessionals. You could say that after two weeks of implementing STEM activities into my special needs classroom, I am hooked. My students are hooked… and the best part is, they WANT to do these activities! You can find all of these activities in Brooke’s TPT store. 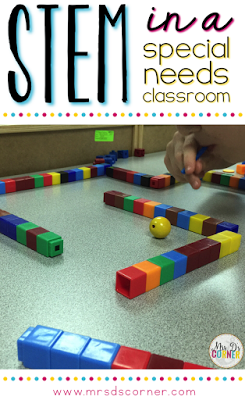 Read STEM for Students with Special Needs: Part 2 here. 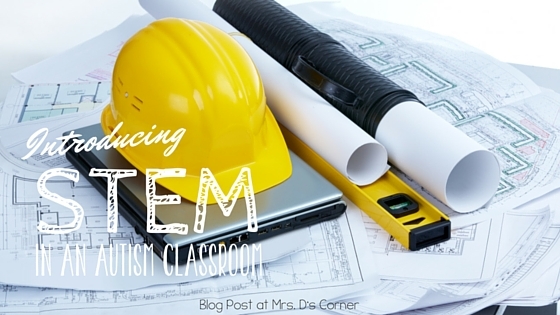 Do you teach STEM in your classroom? Tell us in the comments below! Isn't Brooke just amazing?! I'm so lucky to have connected with her, and I love that you have incorporated these challenges into your special needs classroom in a way that is meaningful and appropriate, while still allowing for those a-ha moments! Great job! Love this! Definitely will build time in for my kiddos. Reading this post it looks like you have one student. I have a classroom of 30. Half of them special needs.